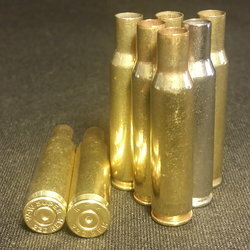 7MM-08 MM REM *Polished* Range Brass - 25 count. 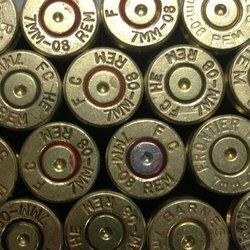 Ordered 100 357 mag cases and 100 bullets on Wednesday at 9:20 am. Got an email at 12:10 pm that the order was shipped! Unbelievable fast shipping - received the order in four days. When I opened the package the plastic bags had opened in the shipping box but I didn't loose anything. 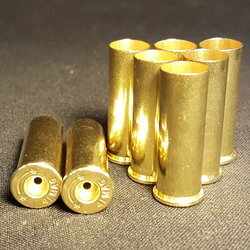 Counted the brass and got 110 pieces - of those one was 38 special kind of expect this from time to time and 5 that had been reloaded and not once fired. 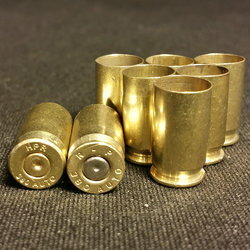 All in all got 104 pieces of good nickle 357 mag brass at a good price and again the fast shipping. Will definitely buy again from Diamond K - now I just wish they carried .357 Max brass as that would be outstanding! 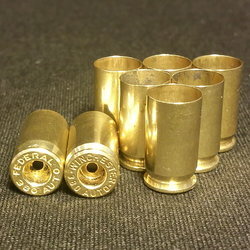 Just placed another order for 9mm brass. Why would I go any where else for my reloading components when Diamond K is number one in all aspects. Fast shipping and quality merchandise. Couldn't ask for more !!!!!! 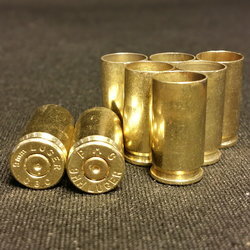 Great Brass, nice to start with clean polished brass for reloading. 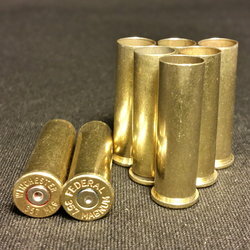 Great value and great selection of calibers. Diamond K brass is my new "GO TO" brass supplier for sure! The price was average. Shipping & handling charge was very reasonable and fast. Order came in accurate and in good shape. Will continue to always check here first. Finally a company the prides on quality and customer service. ordered 300 357 mag cases. Several different Head Stamps . Heard rumors on Inet that some of the brands Wouldn't roll crimp well. That was Bull! All diff head stamps worked great, Thanks for the great price!